The key to successfully removing pet stains is using the right product and technique for your unique stain. In this article, you’ll learn about the types of pet stain removers on the market and which ones can eliminate common pet stains like urine, vomit, and feces. There are two main types of pet stain removers. One is enzymatic and the other type contains oxidizing agents. Some feature a combination of the two. Let’s discuss what each of these cleaning agents does and which pet messes they’re best suited to. Enzymatic pet stain removers are like yogurt—beneficial microorganisms are the secret to their strength. Instead of populating the gut, the microorganisms in an enzymatic cleaner populate the stained surface. These protease enzymes target protein-based molecules, which are the source of most odors. If you’re dealing with urine—the worst of all pet stains—enzymatic cleaners are the only type of product that will work. The enzymes break uric acid down into carbon dioxide and ammonia, both of which evaporate into the air. Again, there’s nothing else that can get urine stains out of your floor or upholstery. You might see some initial results with other cleaners, but after the surface dries, the uric acid will recrystallize and the odor will be right back. Your pet will smell that invitation and make the problem even worse. Enzymes are safe for all surfaces, including hardwood floors, carpet, rugs, upholstery, and concrete. Because every formulation is a little different and will interact differently with each surface, test it out on an inconspicuous area anyway. Follow the package instructions precisely. Enzymatic cleaners are full of living organisms, and these organisms thrive in a specific type of environment. Applying something else to the area, like vinegar or baking soda, will alter the environment and potentially slow down your enzymatic helpers. When the container says to apply the cleaner liberally, do it. Don’t be stingy or cautious. If the product comes in a spray bottle, you’ll usually want to remove the sprayer attachment and dump the liquid out of the bottle. You need to douse the area in cleaner, populating the whole space with a community of friendly microbes. Allow the enzymatic cleaner to do its work in peace. The enzymes will continue working until the area dries out. The more time they have in a warm, damp environment, the more time they have to break down odor-causing molecules and extract the stain. To prolong the life of your enzymes and give them more working hours, you might consider covering the area with plastic. This locks in warmth and moisture and helps the enzymes to survive longer, spending more time in the affected area and doing more work. Remember that cleaning with enzymes is like painting. You can’t rush it. Every application needs to dry naturally before you apply the next one. The slower it dries, the better. According to the Cleaning Institute, all stains from bodily fluids like blood, vomit, and urine, should be pretreated with an enzymatic solution. 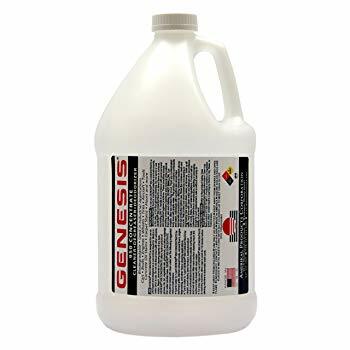 If possible, this enzymatic cleaner should be followed with cleaning in sodium hypochlorite or oxygen bleach and water. Oxidation removes stains and does a great job of extracting most of the molecules responsible for discoloration. If a pet stain is discoloring the surface, an oxidizing cleaner is your best choice for erasing it. Oxidizing pet stain removers may discolor your carpet or other soft surfaces. Before you dump a gallon of cleaner on your carpet, test it in an inconspicuous area. Do DIY and homemade pet stain removers work? Sometimes they do and sometimes they don’t. It depends on what type of product you’re making and what type of stain you’re trying to get rid of. For most stains, a homemade cleaner will work if you make it from the right ingredients. Other stains demand an enzymatic cleaner, and that’s something most people can’t make at home. When you’re browsing DIY cleaning solutions on Pinterest, these three household items are the ones you’ll see most often. A classic homemade carpet cleaning solution consists of any of these three items, either separately or combined. Baking soda is a natural deodorizer and vinegar is a disinfectant. Hydrogen peroxide is more oxidizing than chlorine. When you rub vinegar into a pile of baking soda—or sprinkle baking soda on a splotch of vinegar—you make a little carpet volcano, which creates gas bubbles that could help to agitate the compounds that are making your carpet dirty. All of these reactions can remove visible staining, but they will have only temporary effects on the smell from a urine stain. Each pet stain is unique. Here’s how to remove the three most common types of pet stains. Urine is a concentrated brew of proteins, acids, electrolytes, and other compounds. Most of these compounds are easy to clean using typical cleaners, like vinegar, baking soda, hydrogen peroxide, and other oxidizing products. The one that’s different is uric acid. It has a half-life of six years and is incredibly difficult to remove with anything other than an enzymatic cleaner. If the stain is fresh, lucky you! New messes are relatively easy to clean. Dab up what you can with a towel, then apply the enzymatic cleaner as directed. If you have an old stain, use a blacklight to identify the source of the smell, then mark spots with sticky notes. Apply the cleaner liberally to those areas. Older stains need a few applications, but it is possible to destroy an old cat urine stain. You just need a concentrated product, the right environmental factors, and persistence. It’s recommended that you wipe off any excess, then let the stain dry before attempting to clean it up. If you try to clean up the stain while it’s still fresh, you’ll only make things worse. Instead, let it dry before applying any pet stain remover or doing any scrubbing. Use a cleaner that combines enzymatic action with oxidation. Vomit is usually relatively easy to clean, provided that you catch it promptly and don’t let it set into the carpet fibers. The acid in pet vomit can stain carpet quickly, so it’s important to wipe it all up as promptly as possible. Start it off by removing the chunks and any excess liquid, then use your enzymatic cleaner as directed. This gentle enzymatic cleaner is full of the microorganisms that can break down uric acid and other odor-causing compounds in pet stains. It’s Amazon’s number one best-seller in cat odor and stain removers and has over 6,600 customer reviews. An impressive 76% of those reviewers give it a 5-star rating. It’s well-regarded for its ability to clean urine, but it’s also effective on other pet stains, like vomit, feces, and other messes. The natural formula is safe to use on almost any surface, and it’s approved by the Carpet and Rug Institute. It comes in a spray bottle or a gallon jug. If you have a serious mess, the jug is your best choice. Remember that most stains require a good dousing of enzymatic cleaner. Most users need more than a spritz-spritz on the stain. 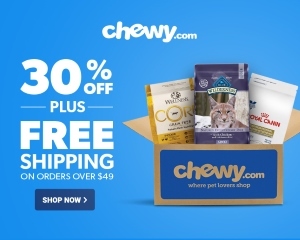 This well-regarded product has a reputation for eradicating one of the most troubling pet stains in the world—cat urine. 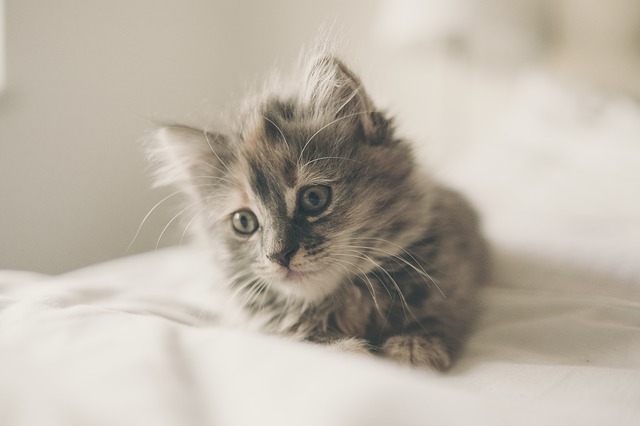 All urine makes a scary stain, but the feline type is unusually concentrated. On Amazon, 269 customers give it a 4.4 out of 5 star rating, and 76% of all reviewers give it five stars. It uses live bacteria to break down the compounds that cause odor. 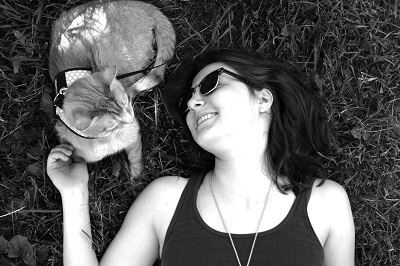 The product is unscented, making it safe and comfortable for sensitive cats and people. If you’ve already treated the area with another cleaning product, the company recommends that you prepare the surface with P-Bath. This pre-treat conditioner neutralizes residue from quaternary disinfectants. 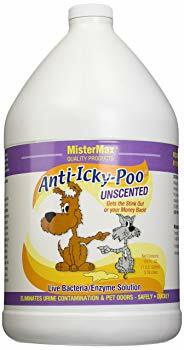 It’s formulated to work in synergy with Mister Max Anti-Icky-Poo by bringing the surface within a pH range preferred by the bacteria in Anti Icky Poo cleaner. This enzymatic cleaner contains the hungry little microorganisms you need to get rid of severe messes like vomit, feces, and worst of all, cat urine. Customer reviews are generally positive, but good experiences aren’t universal. While 65% of reviewers give it a 5 star rating, a not-insignificant 17% give it just one star. But most members of this dissatisfied group don’t complain about the product’s effectiveness. They’re complaining about how it smells. It’s infused with what the company describes as a “light fresh scent”, but according to customer reviews, the smell is anything but light or fresh. 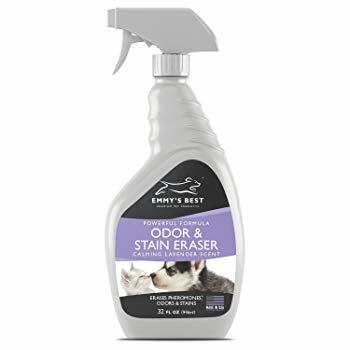 If you don’t like scented litter and other perfumed products, this pet stain remover might not be a good choice for you. It’s not recommended that you use this Nature’s Miracle cleaner on delicate surfaces like untreated hardwood, leather, suede, silk, or wool specialty fabrics. 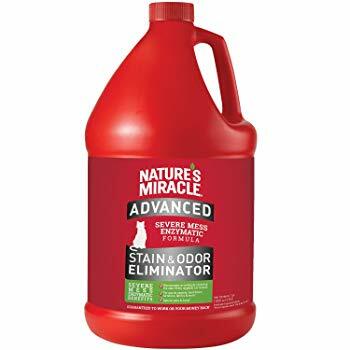 At $29.22 for one gallon, this is one of the most affordable pet stain removers on the market. This pet odor and stain remover is an enzymatic product that breaks down odor-causing substances in urine and other pet stains. It’s described as a triple-action formula that erases stains, neutralizes odors, and destroys pheromones. The formula has a lavender scent. While not everyone loves lavender, most customer reviewers agree that the product’s scent is a few steps above the usual fake smell that other cleaners leave behind. Emmy’s Best pet stain remover is covered by the company’s Paws Promise 100% satisfaction guarantee. A portion of the proceeds is donated to Emmy’s Friends, a collection of pet charities selected by the company. The cleaner is available in a 32 oz spray bottle or 1 gallon jug. It costs $49.95 per gallon. This full-strength professional product is a combination cleaner, degreaser, and deodorizer. It works on kitchen and bathroom counters, marble, stone, granite, tile, laminate, and hardwood floors. It’s safe for most carpet and is compatible with carpet cleaning machines. While it’s a well-rounded product that can destroy stains in almost every room of your house, it’s not right for every type of pet stain. The product isn’t an enzymatic cleaner and can’t break down the uric acid that makes the odor so long-lasting. If you’re dealing with a urine stain, you’re best off using an enzymatic cleaner that can physically break down those compounds. It’s a concentrated product, so you’ll need to mix it with water before use. Depending on the intensity of your stain, you may need to use anything from a 7:1 to 1:1 water to Genesis 950 ratio. Customer reviews of this product are primarily positive, with 260 reviewers giving it a 4.1 out of 5 star rating. 66% of reviewers give it a 5-star rating. $49.90 for one gallon of concentrated cleaner and over 2 gallons of usable cleaner. If your pet soils the floor once or twice in their life, a jug of pet stain remover and a few minutes of hand scrubbing should be all you need. 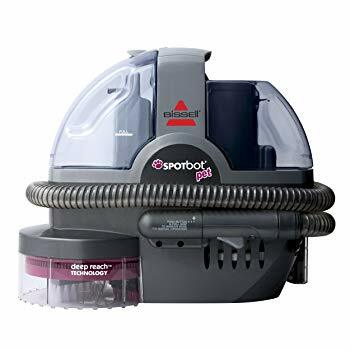 When cleaning up floor stains becomes a frustrating part of your weekly routine, it might be time to invest in a carpet cleaner like this one from Bissell. To use it, you’ll fill the tank with a solution of pet stain remover and warm water, set the machine on the stain, and let the machine do the work for you. The cleaner sends the pet stain remover deep into carpet and fabric fibers and its brushes agitate and scrub the area. Once the cleaning cycle is complete, the cleaner vacuums up any excess liquid and waste. It works on carpet, upholstery, on stairs, and in the car.